For businesses throughout California, workers’ compensation insurance is a requirement. Strong Tie Insurance can help you meet your legal obligations. Businesses have a legal obligation to sustain a safe work environment for employees. Unfortunately there is no sure fire provision to keep all of your employees healthy on the job. You can protect yourself and your employees by opening a California workers compensation insurance policy. California workers’ comp insurance is designed to guard both you and your staff from financial ruin if anything is to happen to them. Strong Tie Insurance will help you determine what kind of workers compensation policy your business needs. 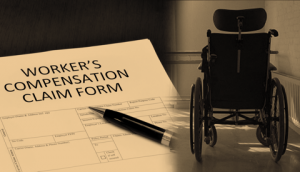 Each state has specific requirements for workers compensation. Our agents understand that without the appropriate California workers compensation plan, you put your company at risk for financial loss and/or criminal charges. You need to understand your rights and those of your employees if they are injured or become ill while working for you. Save yourself and your business from costly lawsuits and employee issues. California workers compensation protects your employees, who are a huge part of the framework of your company. 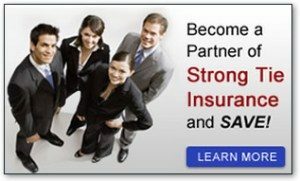 Strong Tie Insurance can provide you with a coverage program showing the California workers comp insurance rates that will benefit your company’s most prominent needs. Contact us for a customized CA workers comp insurance quote today!